That will be part of Expedition Unknown: Egypt Live, which is being broadcast at 8 p.m. ET and 5 p.m. PT on the Discovery Channel, Travel Channel, and Science Channel, and is another example of synergy between Discovery’s now-larger portfolio of channels, and another example of networks using live programming to draw viewers. Opening something old live on TV may remind you of another live TV stunt from the 1980s: future Apprentice cast member Geraldo Rivera opening Al Capone’s vault live on TV, only to find some dirt and trash, which was a pretty good metaphor for Geraldo’s career. Either way, we’ll “discover in real time as archeologists are discovering,” and that’s “part of the fun for the audience,” he said. Also part of the fun of live TV, at least, are “potential issues with live feeds” and “potential danger down there, but we’ll have an on-site team of experts to help navigate through the journey,” he said. In other words, if the feed underground gets temporarily lost, there will be people above ground to take over. Executive producer Leslie Greif has been following its progress, and pitched the show to Discovery last year. 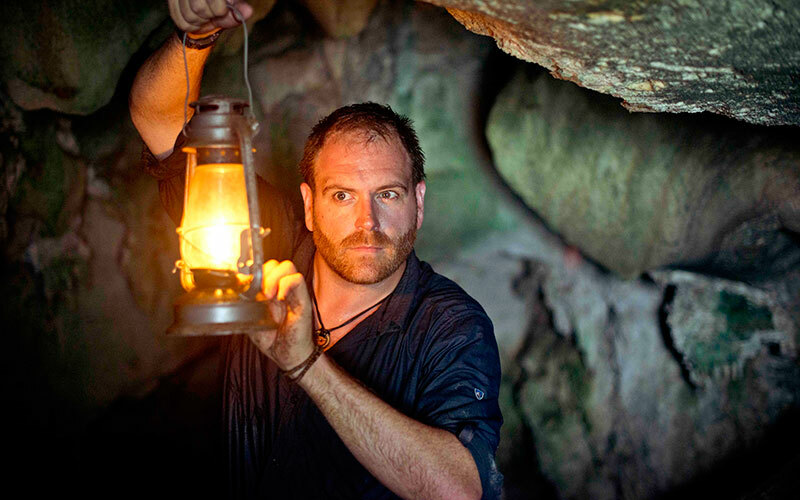 Meanwhile, Josh Gates’ show, Expedition Unknown, moved to Discovery (it returns later this week) from the Travel Channel, and Swartz told me that since Gates has an “absolute insatiable appetite for adventure,” producers thought it’d be “a great idea to put Josh on this project” after the acquisition of Travel Channel. So this live show will be dipping in to science in progress. “Discovery’s primary promise is to take viewers to these places they’ve never been before and deliver on these exciting opportunities to expose them to new things, and archeology is one of those core Discovery DNA genres for us,” Swartz said. Our interview was before the Discovery Channel released this promo, which only features men, and also before Discovery announced that casting its above-ground host, Chris Jacobs, who’s hosted other live events for the channel. So: all men. Are there no female Egyptologists? I did some extensive research, spending 10 seconds on Google, where I immediately found this helpful list: “Top 10 Egyptologists to Follow.” It’s 60 percent women. I wish I’d asked about this in my interview, but at the time, I didn’t even notice that the cast so far was all men, which is embarrassing. Of course, one show is one show, and not a big deal by itself. The real problem is the pattern across Discovery shows: science and adventure programs that star and feature men. And if you’re truly interested in “appealing to as broad an audience as possible,” maybe make the on-screen cast reflect that world? This is a fascinating world being explored, as Swartz pointed out to me. Update, April 8, 8:30 a.m. This definitely was not Geraldo and his vault. The special had a number of reveals and a lot of information, including three mummies. It was broadcast live from Al-Ghorifa in Egypt, which is south of Cairo. The final mummy uncovered was a 2,500-year-old body of a high priest, and it was in amazing shape, especially compared to a mummy shown earlier in the broadcast. “…a team of Egyptian archaeologists and explorers uncovered a 2,500-year-old mummy of a high priest for the first time ever on live television. But that was not the only stunning find. In addition to the high priest mummy, two other mummies were revealed along with a treasure trove of antiquities, including a mysterious wax head. … This ancient Egyptian necropolis has long remained a mystery until now. In 1927, an antiquities inspector first discovered the sarcophagus of a high priest in this area. However, the sarcophagus was robbed and the mummy was missing. In this historic moment, Discovery cameras were rolling live at the dig site as the mummy of a powerful high priest was revealed. 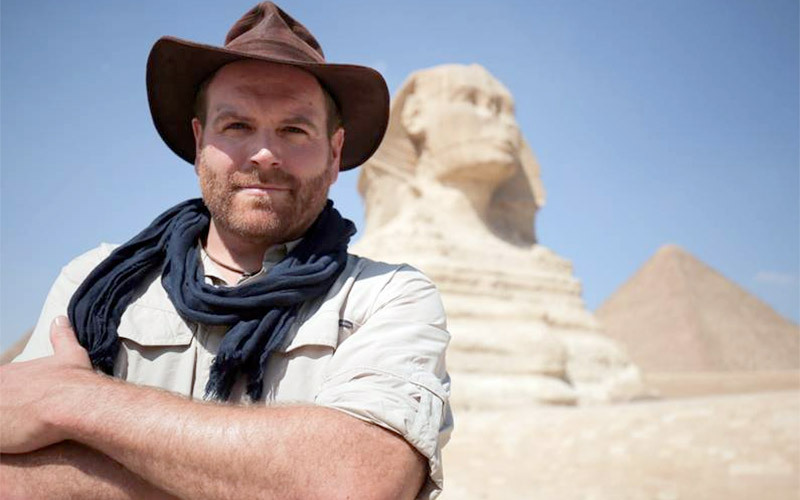 Can I still watch Expedition Unknown: Egypt Live? 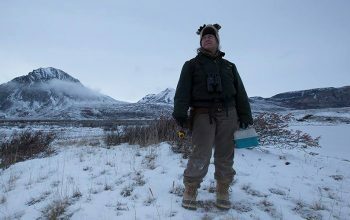 Will there be a Last Alaskans season 5?